CLOSER is pleased to announce that Dr Lisa Calderwood of the UCL Institute of Education has been appointed as our interim director. Dr Calderwood will take up her post on 1 January 2019, when our current director, Prof Alison Park, starts her new role as the ESRC’s Director of Research. The CLOSER team and its leadership look forward to welcoming Dr Calderwood to her new role. Dr Calderwood is the Principal Investigator of Next Steps, Senior Survey Manager for the UCL Centre for Longitudinal Studies, and a long-standing member of the CLOSER Leadership Team. She brings a wealth of academic and operational knowledge of longitudinal survey design and management to the role. 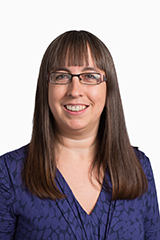 A survey methodologist with a PhD in non-response in longitudinal surveys, Dr Calderwood’s research interests span all aspects of longitudinal survey design including administrative data, integrating social and biomedical data collection and mixed modes. She has around 20 years’ experience of designing and implementing large-scale longitudinal surveys. The job posting for a permanent replacement is now open. The deadline for applications is 14 January 2019.